Very long time, well here some jobs can share with you, a powerfull werewolf, for Spell of genesis card game, I hope u like it guys, see ya! 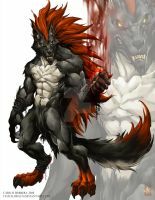 Wow awesome werewolf draw~ 100% .w. 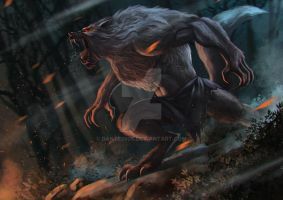 I never saw a werewolf with a sixpack, that is a bit disappointing for me.